There is no other way to explain a recent change to British nationality law. Previously, if you had a British father, you had a right to citizenship, but not if you had a British mother. As from 13 January 2010, the latest revision to this law states that anyone born to a British father can claim British citizenship (as before), but anyone born to a British mother before 1983 must still apply for British citizenship. What’s so exciting about 1983? Why state any date—why are the rules not the same for children of British women? Is a British woman any less of a citizen than a man? 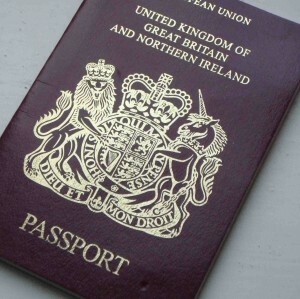 If you have a British mother you can certainly apply for British citizenship but you have to pay a fee of £540, complete a lengthy form, find referees who can vouch for your good character, and if you are accepted, you will then be required to attend a citizenship ceremony before you can claim British Citizenship by descent. If you are not accepted, Her Majesty’s Government can keep the £540. Descendants of British fathers need only complete a passport application. The majority of people affected are the adult children of British war brides, women who followed their foreign husbands home to Canada, the United States and Australia. A quick scan of the figures shows there were approximately 44,000 British war brides in Canada, 70,000 in the United States and almost 50,000 in Australia. If each of those women had one child, there are at least 164,000 people potentially affected by this law. Of course there are many others affected, including the children of British women who moved overseas for any number of reasons (before or after WWII), and as the qualification date only changes in 1983 one could very possibly double the number of people affected. We could easily be talking about a population the size of Malta. Maureen, an American expat in the UK, is one of those affected by this legislation. Maureen keenly feels the sting of discrimination and refuses to take this latest insult quietly. She has been advocating a petition for people to sign in order to demonstrate to the British government the complete idiocy of the new law. Because of the cut off birth date (1983) Maureen feels this law discriminates against age as well as gender. According to one comment on Maureen’s blog around 3,000 applications were made each year under the old criteria (birth after 7 February 1961 but before 1 January 1983). The great expense of registration (with no guaranteed refund if the application is declined) and the complicated application process are one form of immigration control. While Britain may well need some immigration control, the inconsistency of controlling immigration of children of British mothers—but not children of British fathers, is an incredibly illogical place to start. Why bother with the expense and administration of changing the law at all if it didn’t add any real value to all the people affected? Are the British government blind or are they truly still lurching around in an outdated, misogynistic stupor of old boy networks and old school-ties? This poorly thought out legislation echoes laws from countries the West so loves to criticise for their gender inequality. Whether you’re the child of a British woman who falls into this category, or you know someone who is, or you’re simply fed up with the shallow window dressing lawmakers give to gender and age issues, you will be interested to know that you can sign the petition people like Maureen are so busily advocating. However, only British citizens (British expats can sign as well) and residents of Britain can sign. People who are the children of British women who do not live in the UK (the majority of the people this affects) cannot sign. There is simply no explanation available to justify this blatant age and gender discrimination. Interesting analysis indeed! I participated in the discussions on Maureen’s blog, and wrote extensively to MPs and Civil Rights groups that were engaging Parliament on the recent Borders, Citizenship and Immigration Bill. The few responses I received were very disappointing. The gist of them was that we should be grateful that at least something is being done to rectify this discrimination! Even the Human Rights groups did not seem to be perturbed about the issue. I was even more shocked that the Impact Assessment commissioned as part of the Bill (probably at significant cost to the taxpayer) failed completely to identify the continuing age and gender discrimination that was entrenched within the draft Bill. The upshot of this is that affected people continue to be discriminated against, albeit in another guise; the need for children of British mothers to prove “good character”, while those claiming nationality through the paternal line do not, raise questions as to whether children of British mothers ar eless likely to be of good character!! The whole process leading up to the approval of the Bill, and the unwillingness of lawmakers and officials to engage on this specific issue has been most disappointing, and raises questions as to the efficacy of what is meant to be a functional democracy. I explained this situation to my 18 year old step-daughter and her first comment was ‘but why aren’t they automatically citizens, whether born to a British father or mother, whether born in the UK or abroad, in any year?’ A simple, logical question. If an 18 year old gets it, why don’t people who make laws as part of their job get it? I am extremely grateful to Michelle for her ongoing support regarding this issue – and to Fanni, the author of the article. Well done! Thank you very much! This excellent article gives me hope that it will bring further attention to the unfair plight of ‘children’ of British mothers and help boost our campaign for the same right to British citizenship by descent that children of British fathers are entitled to. I have one additional detail regarding the registration fee being kept by Home Office: If an application is made from within the UK, the citizenship ceremony fee (£80)is refunded if the application for registration is rejected or withdrawn. The Home Office would obviously still be making a good deal of money if the application for registration is rejected! I love the article. I am very appreciative to the author for writing about this fight for equal rights to British citizenship by descent, and to Expatify for publishing it. Sorry, but your article is incorrect. Not every child born to a British parent is allowed citizenship. Children born prior to July 1, 2006 to an unmarried British father are NOT allowed to acquire British citizenship. Adult illegitimate children of British fathers are completely shut out from any citizenship rights. Absolutely, positively shut out. I am one of many who is currently affected by this discriminatory law. I have contacted numerous politicians only to meet silence, or be told nothing can be done. Twice, the opportunity to change this law has been defeated in Parliament. MP Phil Woolas said that giving adult children of unmarried British fathers citizenship was a “step into the unknown” and refused to consider the matter further. I too have a petition that can be found on my website (linked in my name) . When you sign Maureen’s petition, please take a moment to sign mine as well. Thank you. I was always under the impression that if it was your mother born thee you would qualify for your BP, I have mine cos both my folks were born and raised there my son however will no be able to get his according to the Consulate here in South Arica, Go figure!! I would like to add one additional aspect to the pre-1961 law discrimination between maternal and paternal registration that had significant, possibly fatal, consequences to the 70 thousand U.S. sons of British mothers. These American baby boomer sons of British war brides had to register for the Vietnam draft from 1965 through 1972. How many names on the Vietnam Memorial Wall in Washington DC are the sons of British mothers who were drafted – with no option to take advantage of their mother’s citizenship rights? In my case though, it turn out alright. But, I am registering now as a British subject just for the sheer principle of it; an opportunity that wasn’t available 31 years ago. Thanks to those who worked for this change.